Merry Pixel is a photo management tool for your iPhone. 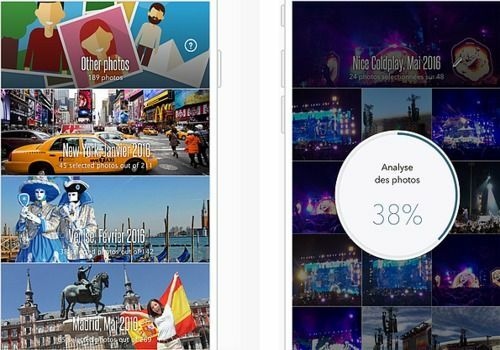 The app offers to manage all your photos itself, in an intelligent way, which will save you a lot of time. With its algorithm, the app will be able to detect duplicates, as well as bad photos, which will allow you, by removing them, to quickly save space on your device. The application will also sort your best photos for you, and for your convenience, Merry pixel will then sort them into albums (by event) that it will automatically create. A particularly efficient application that offers a large number of features such as the ability to share your cliches on social networks, or to access printing and home delivery services directly. An all-in-one solution for managing your photos. Quickly transfer your files from your smartphone to your PC using the AirMore application and enjoy the speed of WiFi. You can also use streaming video to view your mobile screen.